What’s new in Mastercam X9? With the release of X9, Mastercam has made some exciting changes to offer you more than ever! 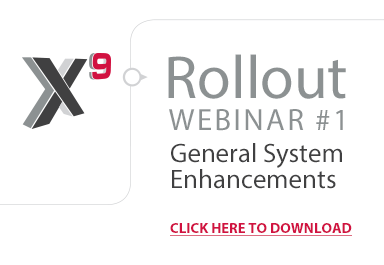 This is the first installment of our X9 Rollout Webinar Series, focusing on the General System Improvements. In approximately 30 minutes, learn why the licensing re-structure and workflow enhancements will simplify programming and usability. Download this pre-recorded Webinar for review and self-training. With the release of X9, Mastercam has made some exciting changes to offer you more than ever! This is the second installment of our X9 Rollout Webinar Series, focusing on Design/Solids. In approximately 20 minutes, see how X9 has made it easier to design and edit parts and assemblies. With the release of X9, Mastercam has made some exciting changes to offer you more than ever! 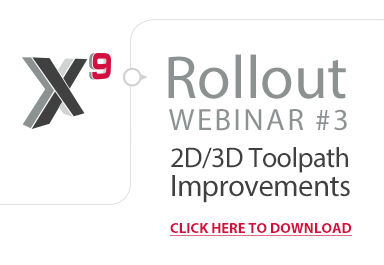 This is the third installment of our X9 Rollout Webinar Series, focusing on Mill 2D & 3D. In approximately 20 minutes, see how X9 has improved toolpath control and programming efficiency. With the release of X9, Mastercam has made some exciting changes to offer you more than ever! 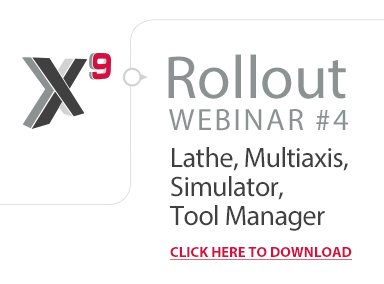 This is the fourth and final installment of our X9 Rollout Webinar Series, focusing on Lathe, Multi-axis, the Simulator and the Tool Manager. In approximately 30 minutes, see how the enhancements made across these modules will optimize your Mastercam experience. For more information about X9, call 1-800-529-5517 or email us with questions or comments.